The event brought together legislators from across Mexico, both geographically and politically. 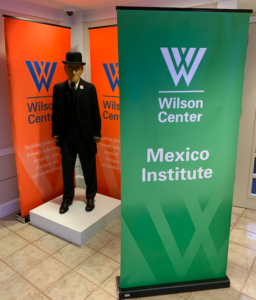 Knowing almost nothing about Mexican politics (other than the recent election of Andres Manuel Lopez Obrador), it was incredibly interesting to listen to the policymakers debate certain issues. The panel I served on was about "Community and Innovation," and meant to discuss networks, innovation, small business, and entrepreneurship. It was great to be speaking alongside Alberto Saracho, Rossana Fuentes-Berain, and Guillermo Ortega Rance. During his remarks, Guillermo pointed to a recent report by the Mexico Media Lab, which explores the differences between startups and pymes, or small- and medium-sized enterprises (SMEs). What we don't know from these data are the breakdown by firm age versus firm size: if Mexico were similar to the United States (and most other OECD countries), then new and young firms would account for the lion's share of new job creation. They would also make large contributions to productivity and innovation. Startups--those that are technologically-driven and seeking growth and scale--are a subset of those new and young companies. 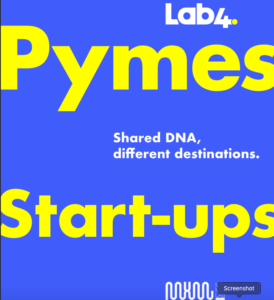 The sub-title of the Mexico Media Lab report, "Shared DNA, different destinations," is a good way to capture the distinctions. The panel discussion didn't get into the data in detail, but this idea of startups being different from SMEs did get a lot of discussion. Because everyone has been accustomed for decades to talking about business solely in terms of size--and because many policy programs and incentives are built around size thresholds--it's not always easy to think about firm dynamics differently. This is doubly true when small and medium businesses are so much more numerous than any other. Another hot topic of discussion related to universities and commercialization: some attendees expressed frustration that academic researchers were not better at commercializing their work. (This, of course, has been a persistent complaint in the United States as well.) Reform, I'm told, is underway in terms of allowing faculty and universities to more easily turn intellectual property into a product or service, but such processes take time to mature and influence economic output. Lastly, several participants spoke of the urgent need for Mexico to seek greater inclusion of women in science and technology. "We are missing out on half of our brainpower," was an assertion repeated several times. This, too, is a challenge in most every country. The legislators are correct that, from a pure demographic perspective, closing the gender gap in many fields is one of the best remaining ways to boost economic growth. Unfortunately, I can't claim to bring any great insights into these issues for Mexico, but it is somewhat encouraging to know that legislators in other countries are trying to address the same challenges we are. This enhances the possibility of learning: even though the particulars of a problem will vary from place to place, similarity in the general contours means lessons from policy experience can be scaled. That's what we are seeking to do with our incipient work on policy, together with GEN and Startup Nations. We'll be releasing some of the first findings from this work at the Global Entrepreneurship Congress in Bahrain in April.